Only with the benefit of hindsight some years hence will we truly understand what we saw Lewis Hamilton go through during the 2011 season. Was it the year in which the 2008 world champion was revealed to be a one-trick pony, a one-dimensional speed merchant unable to adapt to the ever-increasing demands of managing the car and tyres over a grand prix distance? Or perhaps it was the year in which Hamilton hit rock bottom and realised that he needed to set aside off-track distractions and redouble his focus if he was ever to win the world championship again? Perhaps it's a blend of all three. For it's difficult to look at Hamilton's season with anything approaching clarity given how much happened to him during the year. There were so many negative headlines, many well deserved, that the bad has become so overwhelming that it overpowers the good. And there was still plenty of good for Hamilton in 2011. He did, after all, win three grands prix, which was as much as anyone without the initials SV achieved, and he still scored 85 per cent of McLaren team-mate Jenson Button's points. Those are not the figures of a season that can be labelled an unmitigated disaster. Which begs the question, just what did we see from Hamilton this year? To get a handle on that, we need to rewind to the start of 2011. The warnings were there during testing. McLaren sent itself down a blind alley with its convoluted octopus exhaust system, and the car was not easy to drive. Add to that the high-degradation Pirelli rubber and you had a pretty glum Hamilton in the build-up to the season. After getting out of the car following the final day of testing, Hamilton hardly sounded enthused about spending another year playing catch-up to Red Bull, despite his best efforts to put a brave face on it. "I'm always hoping for the most optimistic improvement," said Hamilton. "I'm always hoping that all of a sudden they'll say, 'Okay, we've got this coming', and we'll arrive and then the day before [the race] we'll have something new. "I don't like to use the word 'frustrating' because I'm not frustrated. It's not a disaster, it just doesn't have as much performance as we'd like at the moment." McLaren's car struggles, combined with the performance of the rubber, meant that Hamilton headed into the season already fearing the worst. But fortunately, that magic fix was just around the corner. In Australia, McLaren bolted its Red Bull-esque exhaust/diffuser combination onto the car and its performance was transformed. Still around three-quarters of a second off in qualifying, Hamilton was able to qualify second and keep the pressure on Sebastian Vettel in the race on his way to second place. So far so good. Then came the first red flag, a warning that Hamilton's season might not go as well as hoped. In Malaysia, he was relegated from seventh to eighth after being given a post-race time penalty for weaving while battling with Fernando Alonso. Most worryingly, this suggested that Hamilton was failing to learn from his mistakes. Irrespective of the harshness of the penalty, it was exactly the same offence that he was warned for in the previous year's race. "From my side I'm not allowed to move more than once," said Hamilton. "Do I class it as dangerous? No, but that's the rule. Twenty seconds is not such a bad penalty for it. 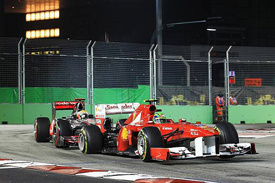 "As for Fernando, he hit me, he got a 20-second penalty, but it didn't really do anything to him. It doesn't exactly work out as a penalty, but again, that's racing." Still, what happened in Malaysia appeared to be only a blip. It was followed by a superb win in China, ambushing Vettel with an unexpected KERS-assisted move to take the lead late on. Then came a brilliant second place, pressuring Vettel in the final stint, in Spain. 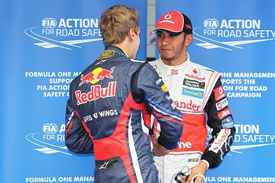 After five races, Hamilton was second in the championship and looking to be Vettel's biggest threat. Monaco was the first weekend when things really came unstuck. 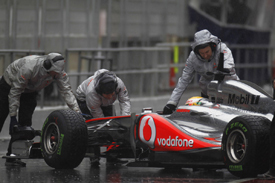 He was unlucky in qualifying, with the timing of Sergio Perez's shunt at the chicane running Hamilton's Q3 programme. That left him 10th on the grid and laid the foundations for what happened on Sunday. 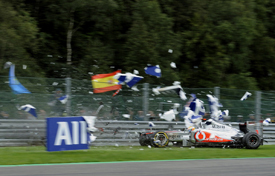 First, the collision with Felipe Massa at the hairpin that led to a drive-through penalty. 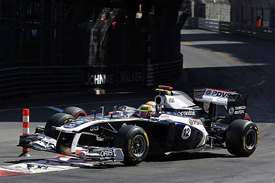 Second, the clash with Pastor Maldonado at Ste Devote that led to a post-race time penalty. Third, the ill-advised, but not malicious, invocation of Ali G's "Is it 'cos I is black" catchphrase in response to a question about the stewards' interest in him. That last of these suggested someone not clearly thinking through the consequences of what he is saying. It's worth noting that he said this some time after the race and not fresh from the car. Then came Canada. McLaren miscalculated its downforce level and its gear ratios. Hamilton was not happy, which led to the infamous meeting with Red Bull team principal Christian Horner on Saturday evening. This wasn't an isolated incident – there was at least one other chat – and was another concern bubbling under throughout Hamilton's season. Out of contract at the end of next season, new management XIX Entertainment is keen for a big deal for its charge and it's clear that this, combined with Hamilton's frustration at McLaren's inability to produce a Red Bull beater, was a distraction. But this wasn't the only bad news for Hamilton in Canada. At the first corner of the race, he booted Mark Webber into a spin and then collided with Button a few laps later while trying to make up ground. It would be wrong to blame Hamilton exclusively for the crash, but given the line that cars normally take on the start/finish, it was a risky place to put himself. 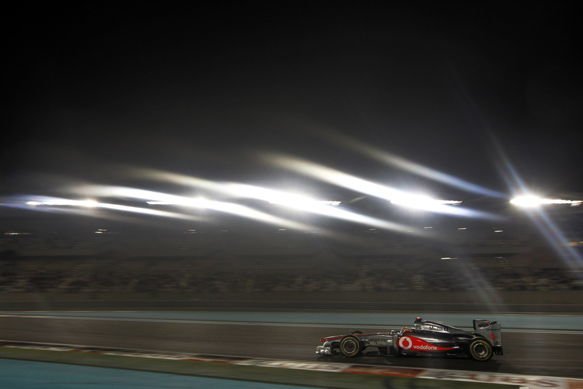 Fortunately for McLaren, Button survived and recovered to win, which prevented any intra-team discord developing. Then it was back to business as usual, although it was by now clear that in high tyre degradation races in particular, Button had a significant advantage over a race stint. 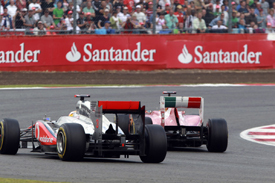 Fourth places at Valencia and Silverstone were reasonable results, the latter coming after some last-corner wheelbanging with Massa, and his win at the Nurburgring in a tense three-way battle with Fernando Alonso and Mark Webber was superb. Remember that at this stage of the season, things were still going reasonably well. Hamilton was third in the championship, 25 points clear of team-mate Button (albeit partly because Button failed to finish the British and German Grands Prix through no fault of his own), and there was no hint of the terrible run that was to come. In Hungary, Hamilton was on course for victory until he spun at the chicane while leading. That in itself wasn't a major issue, even though it handed Button the lead, but what did cause problems was his recovery, which forced Paul di Resta onto the grass to avoid clattering the McLaren. 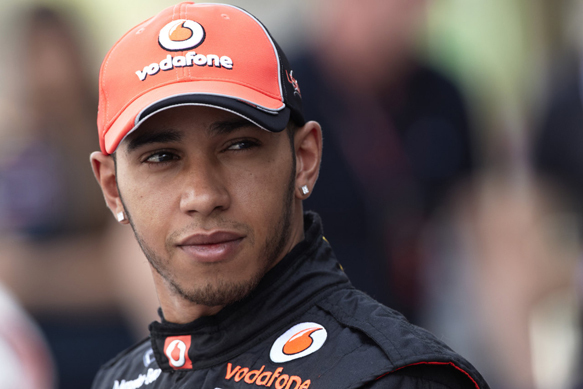 "I have to apologise to Paul di Resta, I didn't see him," said Hamilton after the race. This claim raised eyebrows, for not only had Hamilton not long lapped di Resta, he could clearly see his car when facing the wrong way. The resulting drive-through penalty, and an incorrect decision to switch to intermediate rubber, left Hamilton down in fourth, and his failure to account for other cars on the track would come back to haunt him in the next race in Belgium. He'd already become embroiled in controversy in qualifying when he and Pastor Maldonado clashed, with the Venezuelan rightly getting a grid penalty. On Sunday, things got worse for Hamilton. After passing Kamui Kobayashi, who was on older rubber, on the run to Eau Rouge, the Sauber driver came back at him on the Kemmel Straight. By the time they got to Les Combes, Kobayashi was on Hamilton's outside, and the McLaren driver moved to the left to take the ideal line into the right-hander, hitting the Japanese and turning himself into the wall. Hamilton claimed that he didn't know Kobayashi was there. But while the fact that Lewis had the DRS deployed and the Sauber didn't creates circumstances in which you wouldn't expect him to attack, Hamilton had very clearly moved his car to the middle of the track to defend on the run to the corner. If he didn't know that a car had a run on him, why did he do that? And if he did know, why didn't he factor in the possibility that Kobayashi might, quite legitimately, be on his outside at the corner? At this point, it was clear that all was not right. 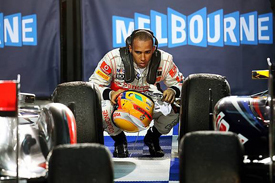 After a quiet Italian Grand Prix, in which Hamilton finished third after spending a chunk of the race stuck behind Michael Schumacher after adopting an unusually conservative approach to passing as a result of his previous troubles, things took a turn for the worst in Singapore. Following a scrape with Massa in qualifying, Hamilton hit the back of the Brazilian's Ferrari during the race. It wasn't a misjudged passing move, for Hamilton had already backed out. He merely misjudged where Massa's car was. The contretemps in the TV pen post-race was somewhat overblown, although Massa's annoyance was understandable given Hamilton's earlier refusal to speak to him in parc ferme. This was Hamilton at rock bottom. Senior team sources indicated they were very concerned about his mental state, and his lack of focus was clear. On-track, things were going wrong, but it seemed that the cause was off-track. When Hamilton drove into Massa again at Suzuka, again defending into a corner but professing surprise when the car that had a run on him took to the outside, an alarming pattern was confirmed. So we come to the final act of Hamilton's season – a run of races that suggests he can start 2012 on an even keel and back to his old self. In Korea, he turned in a superb lap to take the only non-Red Bull pole position of the year. Although he finished second after being passed by Sebastian Vettel, it was a very strong drive during which he proved that he hadn't forgotten how to run near other cars during a dramatic scrap with Mark Webber. After that came India. While not a great race, the stewards rightly deemed him not to be responsible for the crash with Massa after the Ferrari driver turned in on him. Then we had Abu Dhabi. Hamilton seemed a little changed there. He talked candidly, if vaguely, about his off-track problems. Crucially, he acknowledged that there were problems. It's unfair to speculate too deeply about what they were, although it seems reasonable to assume that difficulties in his relationship with Nicole Scherzinger were at least a part of these problems. Fact is, right now the exact nature of those problems is less important than Hamilton's reaction to them. In Abu Dhabi, he claimed to be far more relaxed and talked about the need to spend more time with his family and the famous 'happy bubble'. Crucially, he went on to win the race. Although Hamilton retired from the Brazil finale with a gearbox problem, he enjoyed a relatively strong end to the season. So what conclusions can we draw? It seems that he has realised the need to get his life in order off track in order to achieve the level of focus needed to take on the likes of Vettel, Alonso and Button on a consistent basis. In 2012, we will discover how well he has achieved that, although the fact that he is out of contract at the end of the year throws up the possibility of another circus developing surrounding his future. If the McLaren isn't up to fighting for the championship, relations might get strained. But if that curveball is dealt with, things are clearly looking up for Hamilton. He's still fast and still capable of the great victories that we've seen in the past. The next challenge is for him to marry his prodigious speed to the kind of calculating racing approach that Button takes. 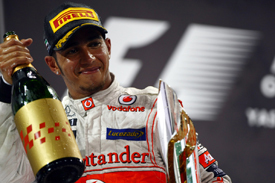 All we can say for now is that 2011 wasn't as bad as some made it out to be, but even with one world title under his belt, Hamilton is a driver who still has something to prove in F1. And he's perfectly capable of doing so.